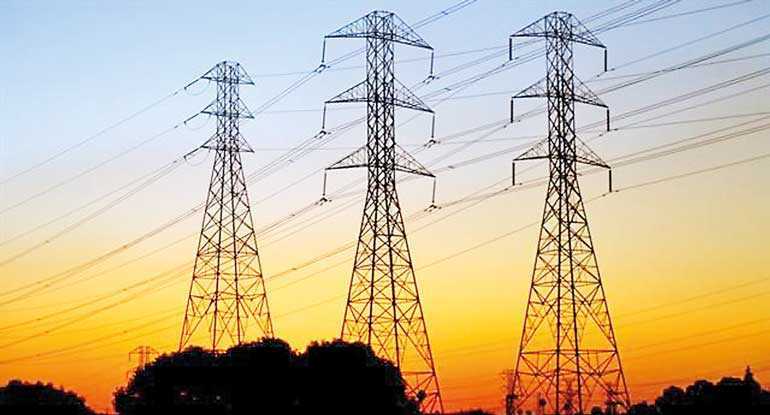 The Public Utilities Commission of Sri Lanka (PUCSL) is set to take legal action against the Ceylon Electricity Board for carrying out scheduled power interruptions sans their approval, noting the move was illegal as per the conditions of the License agreement. “The Commission has decided to file action in courts for violation of conditions of the license. The Licensee has to get our permission for any interruptions, but the licensee has not done so,” PUCSL Secretary and senior lawyer Janaki Withanagama told Daily FT. Following unannounced power cuts carried out by the CEB, the PUCSL yesterday called on the public to inform in writing when interruptions to power supply are experienced. According to data in the Long-Term Generation plan of 2017, the economic cost of energy not supplied has been estimated as $ 0.663/kWh. “We need to get evidence that there have been unplanned interruptions, as we have to have solid information to prove our case,” she explained. Despite Power, Energy and Business Development Minister Ravi Karunanayake’s guarantee to carry out no power cuts, the Ceylon Electricity Board yesterday officially announced its load shedding schedule, which earlier was not disclosed to the public. Karunanayake, acknowledging the move, said that the Ministry was forced to take the action, as the hydro-generation capacity has reduced drastically due to prevailing drought conditions, while CEB has also not been allowed to utilisecertain reservoirs. “We are now engaged in a fire-fighting exercise, there were a few issues with the low water levels, and Norochcholai Generator tripping, so we had to reluctantly go for power cuts,” Karunanayake told Daily FT.
“Mahaweli reservoir is up to 98% of its capacity, but they are not allowing us to use it,” he said. The Mahaweli Authority does not release water for generation, as the water is reserved for agriculture purposes, and released in mid-April to start the next harvesting season. However, Karunanayake insisted that he will come up with a sustainable plan by the end of this week, to ensure that such a situation does not arise in the future. “I will present a firm and lasting solution, so that no minister will face such a situation in the future,” he said. The Minister did admit however that the CEB had been warned by the PUCSL of the current crisis as early as 2016, as there had not been any new power plants commissioned since the Norochcholai and Kerawalapitiya plants were added to the system in 2007. A Cabinet paper recommending action to avoid the power shortage at the beginning of 2019, approved in August last year, was not implemented either, Daily FT learnt. The paper recommended the development of a power purchase scheme from standby power generators, both in private sector and Government institutions. None of the projects planned in Long-Term Generation Plans since 2011 have been implemented, except for the tender called for a 300MWLNG plant in Kerawalapitiya, which should have been in operation by 2019. Following the letters sent by the PUCSL, in June 2017,the Power and Renewable Energy Ministrywrote to the CEB, instructing them to immediately commence work on the power plants lined up in the Long Term Generation Plan, followed by a CEB Board Decision to urgently implement the schedule outlined by the Ministry. In the letter sent by the Ministry to the Chairman of the CEB, seen by Daily FT, 13 power plants with generation capacity ranging from 5MW to 300MW were planned, with specific tender floating dates during the same year. The list included three solar plants, with a total storage capacity of 25MW to be run as independent power producer units, an HFO –Barge in Galle with 100MW storage capacity, also to be run as an IPP, and a Barge/Land plant in either Puttalam or Trincomalee, with storage capacity of 100MW or more, all to be commissioned by 2019. However, none of these plants have been tendered to date.